I left for Venezuela for almost two years in April 1982, leaving behind all my sold dream rock guitar gear, The Dean ML, Gibson White Double neck, Marshall MKII 100 Watt stack and the van to carry it all in, a 1972 yellowish Chevy van. I figured if I was meant to get back into music, the right gear would come back into my life. 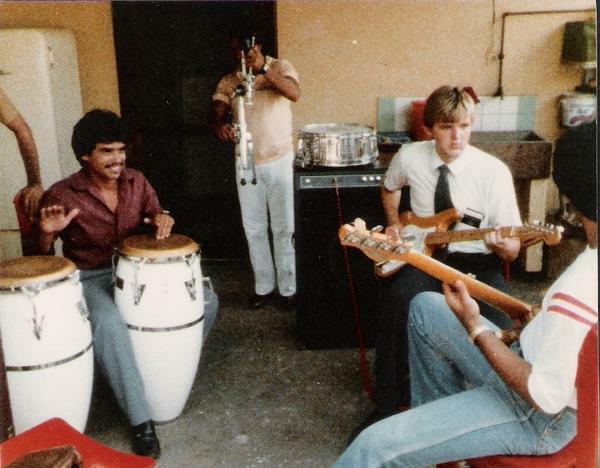 After about a month in Barquisimeto, Venezuela, I went down to the shopping district to buy a Cuatro, kind of a Venezuelan oversized ukulele, A Tenor Uke of sorts, used to play traditional Venezuelan Folk Music. The cassette recorder I had to record my voice and send home began to be my portable studio, developing Caribbean flavored non sensical flavored blues a Van Halen. I played some stuff for the locals and it left them totally confused. That Cuatro became my free day muse until months later when I found a Spanish Laud, a twelve string short scale in the flea market in Maracaibo for about $100. I was able to do almost Classical Acoustic Guitar pieces on that thing and by the time I was living in Cabimas, Venezuela, I would enlist the closest person in the house to help make up songs like “Junkyard Dog” and “U.S. Girls”. 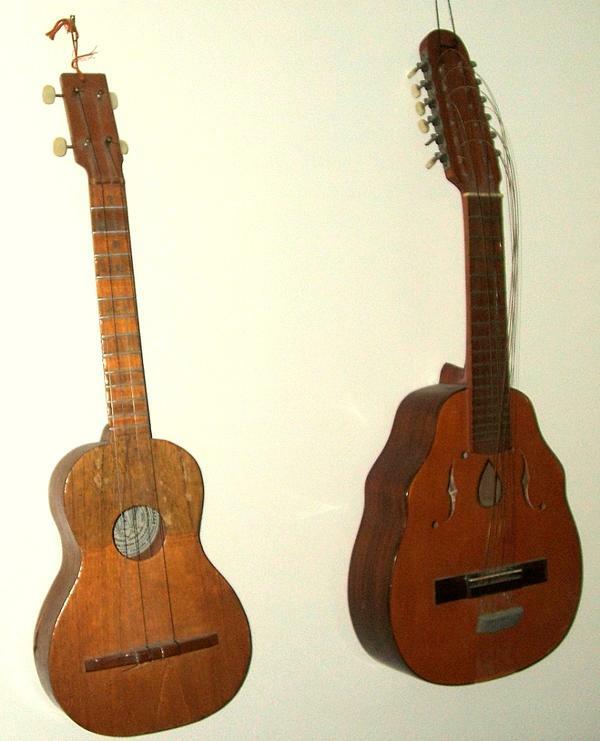 For a period of 16 months, these were the only stringed instruments I had. 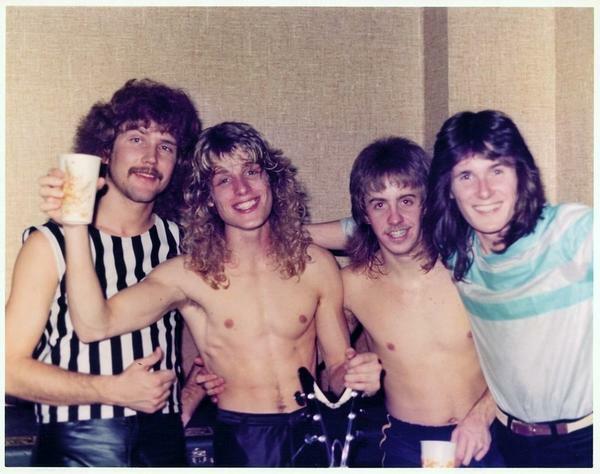 When I got back to Salt Lake City at the end of 1983, I got a crash course in the current Metal scene going to a band practice with Parrish Hultquist and his band Moviescreen. Parrish handed me one of his Charvel Star guitars and I nearly blead to death riffing some of the old riffs I wrote two years prior. It felt good just to be playing through a Marshall before the band got practicing. It had been nearly two years since my last encounter with an Electric through a Marshall rage. 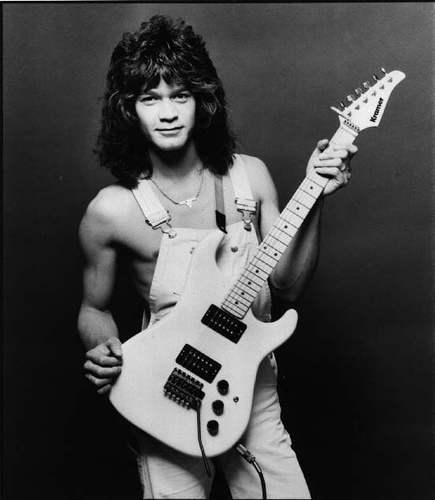 I went to College in Provo, Utah in the winter of 1984 and my old band mate, Wally Gerrard from Karma would stop by my place at Raintree Apartments on the weekends and ended up letting me borrow some kind of no name half stack and a Japanese lawsuit Black Les Paul to practice some guitar. I ended up jamming with a group called the True Detectives with that rig in Provo, a bunch of Orange County, California semi punks playing “Breathless” X style and a few other punk gems. It was a little mismatch to my still metal ways but it was fun. The summer of 1984 I was off to work in Southern California with the intention of returning to school but it never happened. 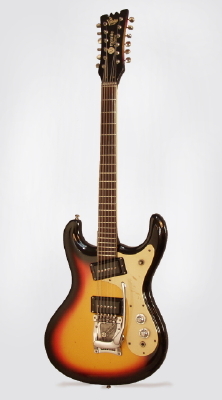 Parrish had loaned me a guitar he had borrowed from Dana Freebairn, a vintage Mosrite Ventures 12 string with a vibrato bridge. I strung it as a six string, bought a Tom Scholz Rockman and spent the summer jamming in the sand at Newport Beach, California for the summer. Eventually, I pulled some cash together and purchased a Gallien-Krueger twin 12 similar to the stuff that Alex Lifeson was using at the time. I thought the cool thing was that it had a built in Chorus circuit and had kind of that post punk sound, like Warren Cuccurullo licks. Living in Orange County, I was getting pulled all different ways, I was still listening to Randy Rhoads but got tuned into bands like U2, The Cult, Souxsie and The Banshees, The Fixx, Missing Persons. It was Orange County and even if Leatherwolf was hanging at the house where I was staying in Costa Mesa, Metal was kind of an inland music; the beach had punk and related music going on. Near the end of summer, Parrish sent out some copies of the Moviescreen Cassette and wanted me to come back up to Utah and play second guitar. I was having a good time in Orange County but I heeded the call and went back up with my Duran Duran style hair, Gallien Krueger and ended up picking up an aluminum neck Kramer DMZ 1000 at a pawn shop in Provo to get more of the heavy rhythm sound he needed. The problem was the Gallien Kruger didn’t sound like a Marshall and at that point in 1984 it was all about the Marshall. 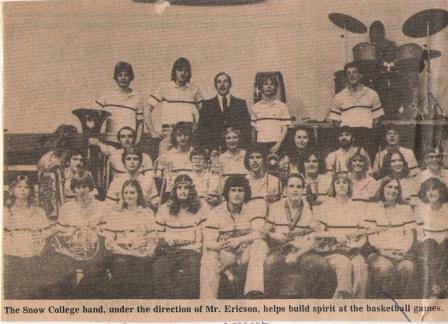 We were supposed to open for a band called Exciter at The Salt Palace when Brian Sorenson, the drummer, got hit by a drunk driver and his hand was busted. I ended up taking him to physical therapy several times a week and within two months I had moved back down to Orange County, California. When I moved back to Orange County at one time I pawned the guitar and amp to pay for a ring for a girl I was serious about. That relationship ended and made me re-think, don’t ever sell gear for a girl. I went and bought a cheap white Kramer van halen style guitar at Guitar Center when it was still in Santa Ana with the Floyd Rose vibrato on it. It was the budget model but still did the dive bombs. I started to settle into the Huntington Beach, California scene where it was almost open warfare between the kids from Downey and Anaheim coming down in black leather listening to KNAC and the surf punks listening to KROQ. In fact, I lived above Jack’s Surf Shop at the corner of Main and PCH Highway and one night when it was still old town with bars, small stores and surf shops there was a full scale riot going on. I watched from my bedroom window as the KNAC Metalheads numbering about 100 and the surf punks who were into surf clothes, The Ramones, The Toy Dolls and looking the part actually got into a full out fight on Main Street at about midnight in about 1985. I would just rock riffs with the White Kramer/ Floyd Rose/ Van Halen type setup through my friends Fender Deluxe with a distortion pedal. Finally, somebody got thrown through a plate glass window store front and the cops were coming and everybody scrambled. I could crank that guitar any time of day and nobody cared down by the beach. Derrick and I put together a group and called them The True Detectives after the band that both of us had jammed with at one time or another. We practiced in the apartment above Jack’s Surfboard Shop and in south Orange County. 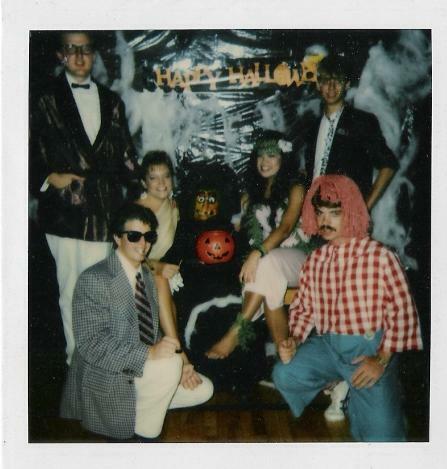 We were doing covers like “Dancin’ With Myself”’867-5309”and other party favorites around 1986. When my Aunt died and I left for a funeral and didn’t make a gig I never got called for band practice anymore. What can you say? I wasn’t satisfied with the Kramer and wanted a more serious guitar. I was into jazz guitarist John Schofield after catching a video from the album “So Warm” on an L.A. afternoon rock video show. He was playing an Ibanez AS 200 semi-hollow burst guitar and I went in search of one and found one used and traded the Kramer for the Ibanez. I had studied jazz in college but this was the first time I had tried to start incorporating jazz inspirations into my own playing. I was kind of on my own, playing my John Schofield-Pat Metheney inspired chord patterns. My friends in Orange County were still into a kind of post punk thing while L.A. strip bands were getting signed left and right and touring the Midwest. I would keep that Ibanez for nearly 20 years and it would survive the rise and fall of a couple of bands, several amps and an upstairs recording studio that is all now part of the past. In an interesting twist, although I had practiced with Moviescreen and The True Detectives, I never did end up playing live; in fact I had not played in front of an audience since Karma back at Snow College. It was like I spent the rest of the 80’s figuring out what I wanted to do with my music while I was busy dating girls and going on with my life. I was lead singer with True Detectives! I “think” I remember jammin’ with Brad when we were auditioning for a new lead guitarist (it was like that scene from “The Commitments”, all sorts of unique individuals showed up to try out). I recall someone with a big Van Halen neck chain who seemed to know every heavy metal riff…but didn’t fit with our needs…was that you, Brad? The True Detectives played in Provo from 1983-1985, then we all graduated and went our separate ways. Fun while it lasted and it paid the bills (for college kids, anyway). Followup, reading further, The True Detectives started in Huntington Beach in the summer of 1983…our original lead guitarist was a local kid named Derek? Lee but he did not come to BYU with us… I think I recall his father a musician was from Nashville. Same guy as your Derrick Lee? You are right you have a good memory. I have a couple of tracks with Derrick and I in Shirts n Ties from 92. If you would like a copy, email me. Hey Brad, This is Keith Valentine your old roommate from above Jack’s. Just ran across your blog when I was looking for pics of Jack’s back in the day. Look me up on Facebook when you get a chance.